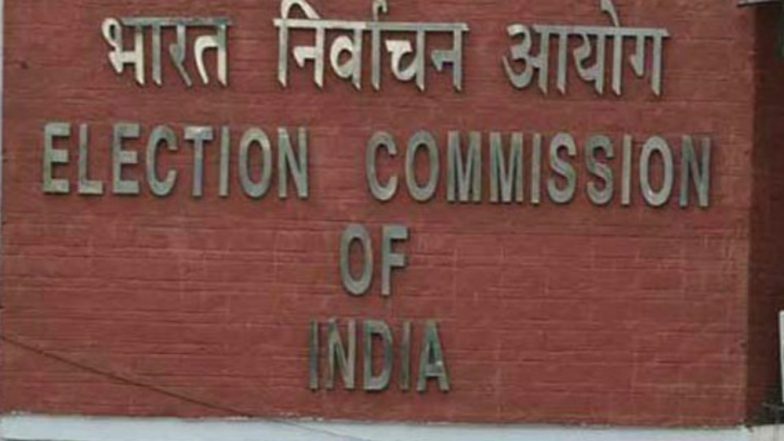 Chennai, April 16: The Election Commission of India (ECI) on Monday recommended to President Ram Nath Kovind that Lok Sabha elections in Tamil Nadu's Vellore parliamentary seat be cancelled. The ECI wants cancellation of polls after Income Tax officials recovered huge amount of cash allegedly from DMK leaders. In its report to the President, the poll panel alleged use of money power to influence voters. Vellore Lok Sabha seat is scheduled to go to polls on April 18. The ECI's recommendation will be shared with the Law Ministry for its views today. However, cancellation is imminent since the President, in this case, has little choice but to accept the ECI's recommendation, The Indian Express reported. If the President accepts the proposal, Vellore will be the first Lok Sabha seat to have had its elections cancelled over abuse of money power. Vellore Lok Sabha Constituency in Tamil Nadu: Candidates, Current MP, Polling Date And Election Results 2019. It is not clear whether bypolls to Ambur and Gudiyattam Assembly seats will be cancelled or go as scheduled on Thursday. On March 29, a huge amount of cash was recovered from the premises of DMK veteran leader and party treasurer Duraimurugan’s son Kathir Anand’s house in Vellore. Anand is DMK candidate from Vellore Lok Sabha seat. Initially, it was reported that 19 lakh cash was seized from Anand’s house. However, official scrutiny later found that only Rs 10.50 lakh was the excess or the unaccounted cash. On April 1, the Income Tax Department had seized Rs 11.5 crore cash from a cement warehouse belonging to a DMK official. In 2017, the ECI had postponed the by-election for the RK Nagar Assembly constituency after complaints of large-scale bribing of voters. Similarly, in 2016, the ECI had postponed polls for the Thanjavur and Aravakuruchi Assembly seats following reports of large-scale bribery of voters.